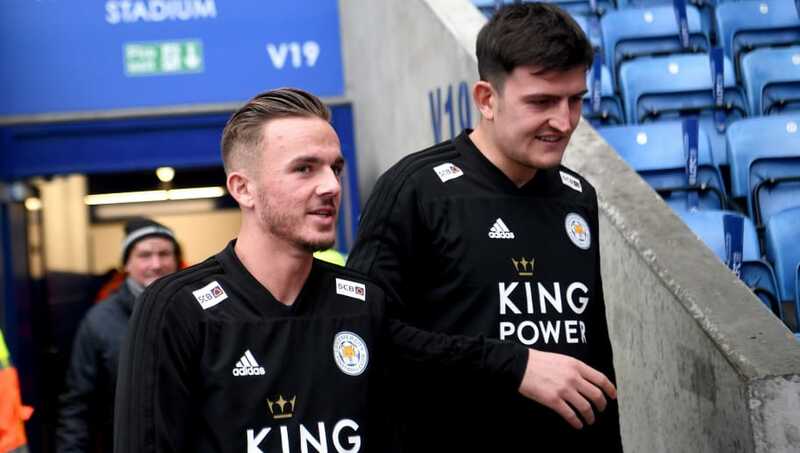 Leicester City boss Claude Puel has revealed that Harry Maguire and James Maddison are both set to miss the Foxes emotional game at the King Power Stadium through injury. The English duo have started every Premier League game this season, but will not play a part of Leicester's first home game since the tragic death of their owner Vichai Srivaddhanaprabha due to knee injuries. “Harry will not be available for this game and for the national team also,” said Puel. “It will also be the same for Maddison, he is not available for this game." “All the other players in the squad, except [Daniel] Amartey and Matty James, will be available. “We will see after the international break if they can come back in the team. Maguire’s is a little more serious than Maddison’s. We will see," added the Frenchman, as reported in the ​Leicester Mercury. The pair are also set to miss England’s international fixtures against USA and Croatia, due to the problems they sustained in their spirited 1-0 win over ​Cardiff in south Wales. Since joining for over £12m in the summer of 2017, ​Maguire has been ever-present at the heart of the ​Leicester defence with Maddison, a £22m summer signing from Norwich, impressing Gareth Southgate enough to earn a first international call-up in October. Unfortunately for Maguire, Puel also confirmed that the defender, who was substituted for ​Jonny Evans in the first half at the Cardiff City Stadium, has a more serious injury than 21-year-old Maddison. “Yes [it’s Maguire’s knee], from the Cardiff game. It will be a few weeks, we will make a point about his comeback after the international break. I do not have all the information about him. Leicester are set to face ​Burnley at the King Power Stadium on Saturday in a game which will be shrouded in tributes and messages for former owner Srivaddhanaprabha.